Boarding Toronto's coveted Lawrence Park, 3018 Yonge Presentation Gallery captures the elegance and sophistication of Lanterra Developments' boutique-style residential development. Studio Munge's vision captures a sense of exclusive luxury enjoyed by the sophisticated urbanite. 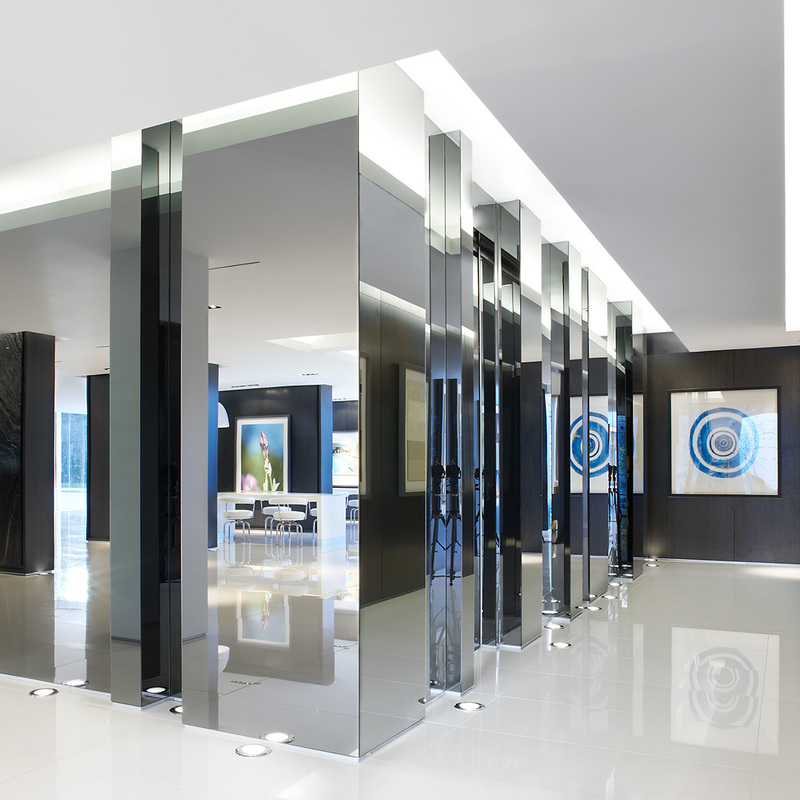 A striking white structure, the presentation gallery is defined by modern sharp lines and an impactful black marble door creating an immediate sense of arrival. A polished open concept space with reflective white stone floors emulate sophistication while accent walls of expressive black marble contrast the sleek white leather and chrome furnishings. The model suites are informed by a custom FF&E program completed by sensual soft fabrics, rich dark woods, and contemporary accessories in smooth materials. Studio Munge's presentation gallery is a statement of refined luxury living, an exhilarating glance of Toronto's elevated residential offerings.